You are here: Home > Events > Bake a Building: Heritage Fair & Family Fun Day. 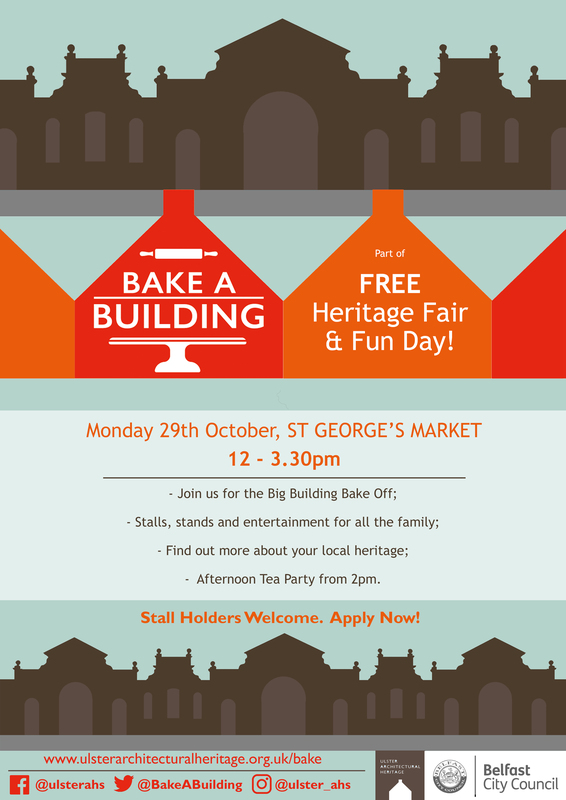 Bake a Building: Heritage Fair & Family Fun Day. UAH is pleased to announce ‘Bake A Building’ in partnership with Food NI, supported by Belfast City Council, designed to promote built heritage to wider audiences, and young people by inviting them to take a closer look at built heritage through the medium of baking. 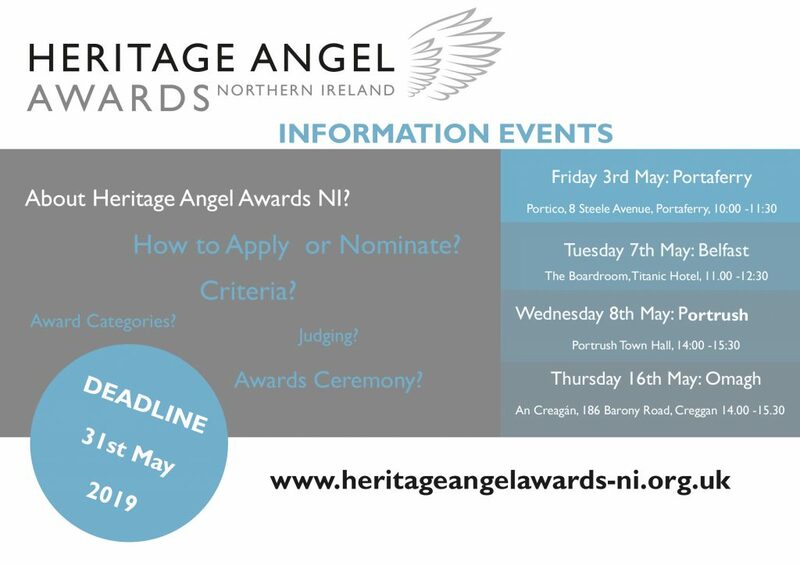 We have invited members of the public to bake a cake in the shape of a heritage building, and on the day, the cakes will be judged by a panel of celebrity judges. Categiories will include best amateur, professional, group, under 16 and school class. 35 have signed up to bake Northern Ireland’s built heritage. The cake creations will be displayed and judged on 29th October from 12-3.00pm. Everyone is invited to this fair and family fun day at St. George’s Market. It will be a free family event with entertainment, stalls selling local crafts and produce, and a chance for the public to view the cakes and learn more about the work of UAH and the importance of preserving architecture for future generations. There will be a Tea Party for the announcement of winners from 2pm and entertainment for all the family.